These are the same as our 8 and 10-inch cheesecakes, only in a fun new size! 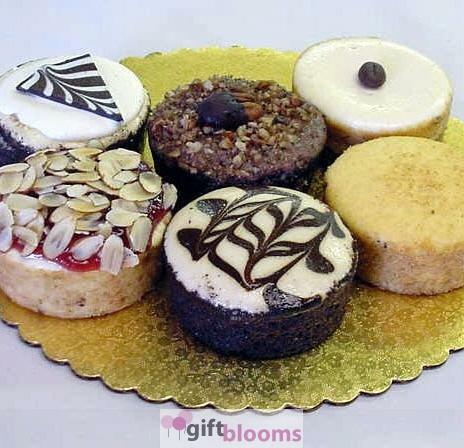 Each mini cheesecake weighs 5 oz, and is a perfect individual serving. (1) each of White Chocolate, Pecan Truffle, Cappuccino, Toasted Almond Raspberry, Kahlua, New York Style. NOTE: Flavors in the assortment may vary depending on availability. There will always be (6) different flavors.